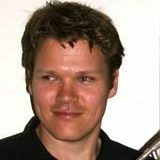 Tristram Williams maintains a busy international career as a leading young soloist, ensemble musician, improvisor and educator. He is a laureate of major international trumpet competitions (Brussels & Eindhoven) and a prize winner at the Stockhausen Interpreters Course. Tristram has appeared as a soloist across Europe, in the UK, USA, Japan, China and many times around Australia. In 2007, he won the Symphony Australia Young Performer Award and a Churchill Fellowship in 2008. He has been a guest of international Arts /Music Festivals and worked with a wide range of prestigious composers. Tristram is a member of the New Music Ensemble ELISION and an electro-acoustic group called DIODE.